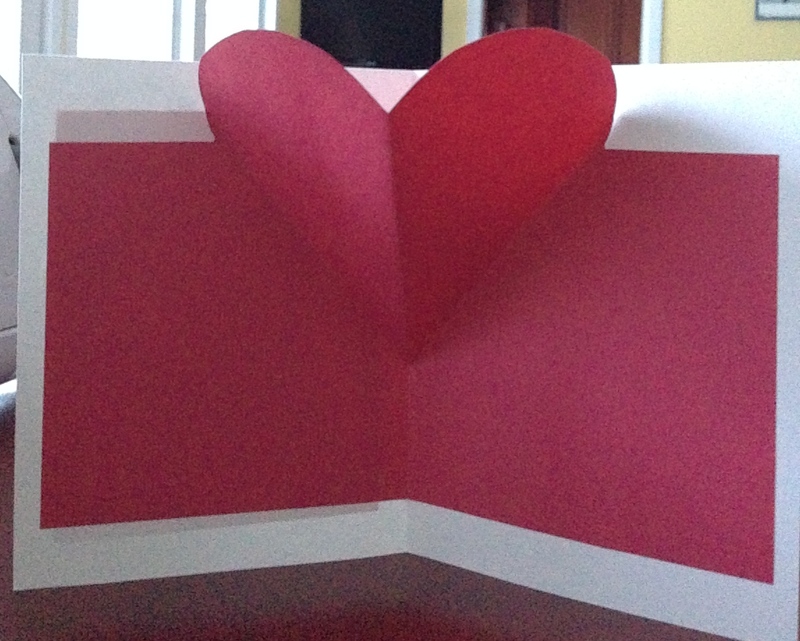 Though the month of February is usually gray (this year it is white), Valentine’s Day brings us that warm fuzzy feeling of friendship and love. 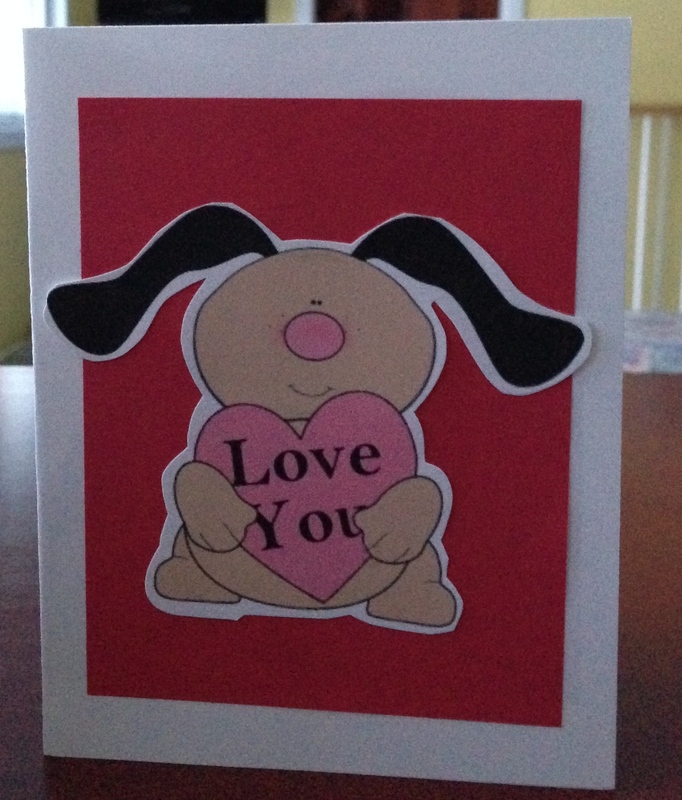 For my little ones in school, I made simple pop up cards. I can’t wait until they open them! 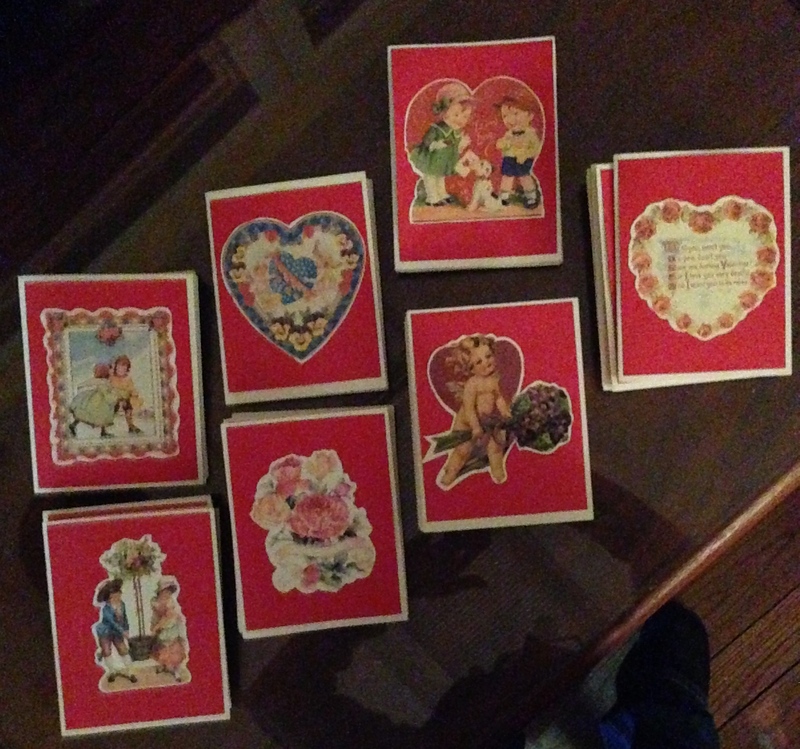 For my special friends at Waveny, I made 45 more cards with a hint of vintage.